Client: Vipul Haria. This website is all about igniting, sharing knowledge to, guiding and feeding your entrepreneurial instincts. 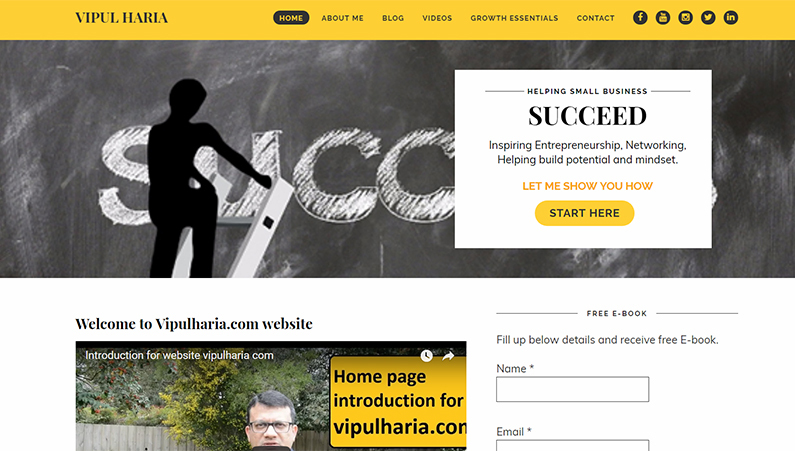 You will find blogs, tutorials and interviews of entrepreneurial world. You can comment on the knowledge share. You can ask for something you want to know, want some guidance. Mechanical stimulation activates a signal transduction pathway that increases cytoplasmic calcium, which mediates the activity of specific genes, including some that encode for proteins that affect cell wall properties.